Sorry, this page can only be viewed if you're old enough. By entering you agree to our Privacy and Cookies Policy. The whisky itself might hail from the Scottish Highlands, but we’re a brand that lives and breathes city life. Originating in London, Cutty Sark broke the whisky drinking rules and brought something completely different to our bars and our homes. With a lighter taste and a lighter colour than what came before it, our refreshing whisky was made for experimenting with. So don’t stick to the same drink every time – mix things up and serve something new with Cutty Sark! 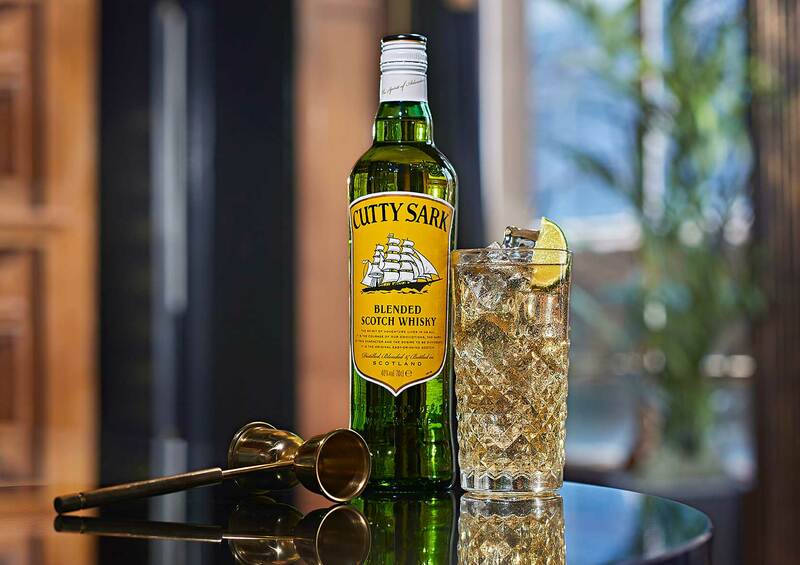 Cutty Sark wasn’t made for stuffy sipping like an old-style whisky, it was born to be mixed! Everything we do is all about bringing people together over a good drink. Masterfully blended so that it tastes fresher than other whiskies, Cutty Sark doesn’t overpower your taste buds – it’s an enjoyable and easy to drink whisky. That’s how we know you’ll love it. Check out our simple whisky serves or easy whisky cocktails, featuring Cutty Sark or Prohibition. Launched at the height of drink and cocktail culture in the twenties, when three friends originally dreamt up our whisky over lunch, they wanted to break with boring convention. Discover the ins and outs of how Cutty Sark made its mark as a whisky throughout the years – including the secret of how we ended up with our iconic yellow label! © Cutty Sark Whisky 2019. Drink responsibly.